Schuco French doors are contemporary, ultra slim and come with a host of unique innovations not found on other types of doors. Schuco Doors are unique and can even be specified with fully concealed hinges. 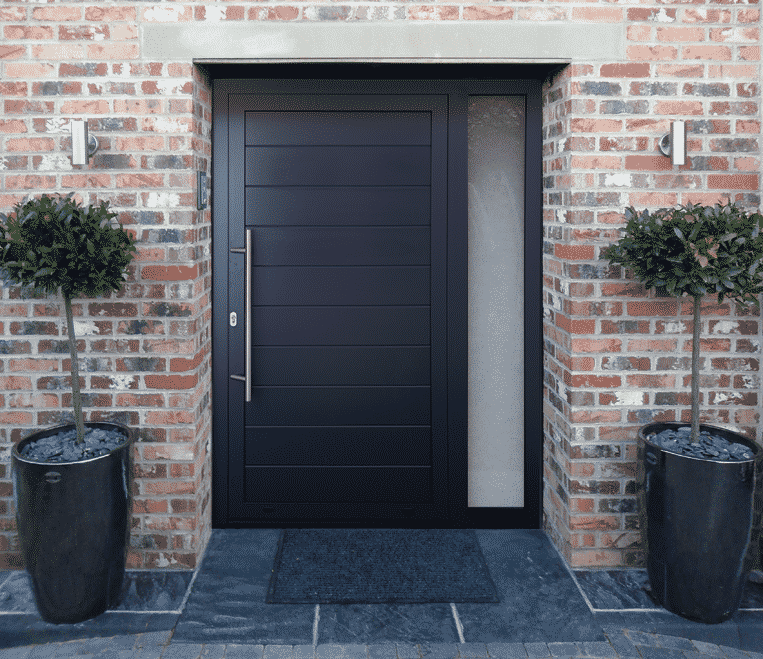 Designed to be individual and unique, Schuco doors benefit from the very best in engineering and technology whether you are looking for a contemporary door, a door as part of a large glazed screen or coupled to other windows. The advantages of Schuco French Doors. As specialist installers of Schuco Doors, we know these to be elegant, sophisticated and technologically advanced. Schuco doors offer unlimited creativity and design freedom. Bespoke hardware, a variety of colours and textures in aluminium as well as a wide choice of farming systems are all available. Schuco doors offer maximum glass area. Can be made substantially taller than standard aluminium doors at heights of up to 3metres possible. The first choice of bespoke Grand Designs type homes. Schuco Doors with Advanced hardware and security. Unlike other doors that use generic hardware, Schuco doors have handles and locking systems that are unique to the product. Schuco French Doors also offer unique fully concealed door hinges, high security, sophisticated locking and burglar resistance testing. You will benefit from doors that are set apart and unique compared to other aluminium doors as well as versatile and customisable. Contact us to find out how Schuco french doors can enhance your home and living spaces with flexible and secure doors.